Born into a relatively well-off Odessa family, the young Isaak Babel was educated at home by private tutors. Babel was fluent in Russian, Yiddish and French, and nurtured a lifelong interest in the works of Maupassant and Flaubert; his earliest stories (no longer extant) were composed in French. After an unsuccessful attempt to get through the Jewish quota of Odessa University, Babel enrolled at the Kiev Institute of Finance and Business, graduating at the age of 19. Following his move to St Petersburg, Babel met and befriended Maxim Gorky, who began to publish Babel’s stories in a literary magazine. Babel’s experiences on the battlefield during the Soviet-Polish war (1920) led him to document the horrors in his collection of stories Red Cavalry. 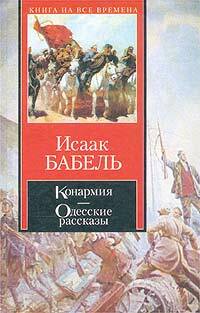 Babel's honest portrayal of the brutalities of war made him unpopular at first, but with Gorky’s support Babel soon broke onto the Russian literary scene and became an instant favourite at home and abroad. Some of his most famous works include Story of my Dovecote (1925), and Tales from Odessa (1931), now considered masterpieces of Russian literature. After enjoying great success during the 1930s Babel fell from grace with the authorities. Unwilling to conform to Stalin’s demands on writers, Babel withdrew from public life, noting ironically that he was becoming a ‘master’ of the new literary genre of silence. Babel’s play 'Maria', not performed in Russia until the collapse of the Soviet Union, depicts a society rife with political corruption, persecution of the innocent and black-marketeering. 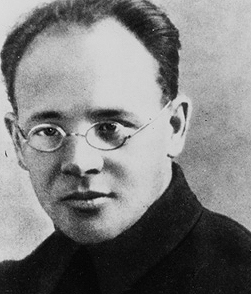 In 1939 Babel’s dangerous affair with the wife of Nikolai Yezhov, NKVD boss, led to his arrest, imprisonment and torture. Babel ‘confessed’ to committing ‘sabotage’ by failing to produce any significant works in recent years. Following his twenty-minute trial, Babel was sentenced and executed. From being a foremost writer of his time, Babel soon became a nobody; his name was removed from literary dictionaries and encyclopaedias, his works taken off school and university syllabuses. Since his public rehabilitation in 1954, Babel’s works have since been widely republished and acclaimed.